Night Blooming Jasmine & Brown Sugar Vanilla. Until my skin rebelled & I couldn’t use them anymore without breaking out. Thanks, Dina, now I know why! Also, those were the fragrances my olfactory-sensitive husband could tolerate. What do you think I should do if I wanted to scent my lotion? There are instructions for adding lavender essential oil in the recipe, but feel free to add other essential oils you like instead. What Brand of Shea butter did you use? Funny you mention Japanese Cherry Blossom. That was the ONE scent I couldn’t stand when I was preggo with baby #1. I was always a vanilla sugar gal. 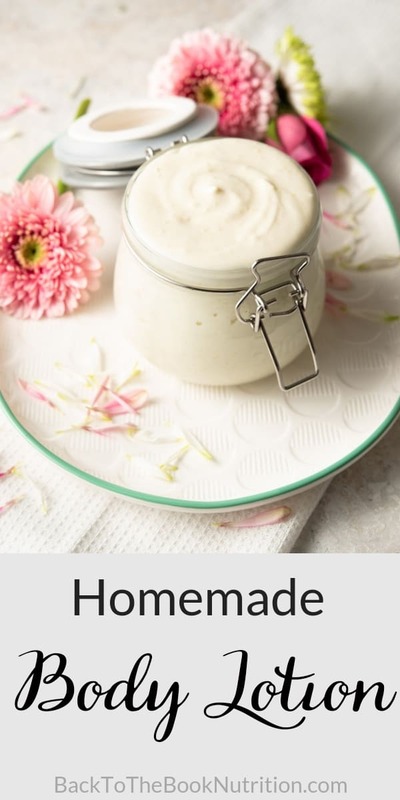 🙂 Thank you for the recipe Dena – I’ve been fiddling with homemade lotions and I’m still trying to find the “perfect” one! This is in the mixer right now. I’m gonna add a little aloe vera juice to make it a little softer. My girls like a pourable lotion. Thanks for the recipe. What brand of lavender EO do you use? This sounds like a lot – like it would be super, duper scented. Yes, I think aloe vera, almond, jojoba or other liquid oil would be a great way to thin it out. Also, just mixing minimally won’t “whip” so much air into it and will result in a thinner product. 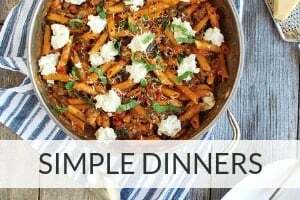 As for the essential oils, I still haven’t bit the bullet and purchased from the more expensive brands – the one I used for this recipe is NOW brand – the same one I linked to in the body of the post. My friends who swear by Young Living and DoTerra would probably tell me I wouldn’t need as much of their products to get an equivalent scent, and maybe they’re right? The quality of shea butter also matters – cheaper, impure shea butter is smellier (is that a word?). I was shipped a shea butter that claimed purity but was pretty yellow (a marker of impurity, based on my readings) and had a fairly strong odor. I decided to just use it up, but have since ordered a pure product from a different company that got great reviews (the one I linked to the in body of the post). It’s possible I won’t need as much essential oil when I make this with the higher quality shea butter in the future. Oops. I should have known to check for your links. Yes, different brands of EO’s do make a big difference. But I started with NOW – they did me well. I have not bought into neither YL nor DT because of their EO wars. They have good things and not so good things about them. 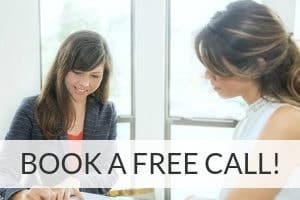 I have been using Frontier brand (Aura Cacia) and am very happy with their prices (I get them wholesale direct from their website), their knowledge and their harvesting ethics. I used ten drops of the OG lavender and some other scents good for skin (spikenard, cassia, clove, peppermint and carrot). I have read also about shea butter and get mine from Amazon. There is a lot of talk about what pure or unrefined or raw shea should look and smell like. Some say the more unrefined, the darker in color and stronger scented it will be. I went for one, like you, that was lighter in color. No one complains about the shea smell cuz it’s really not that bad. I do get a little nervous about what I’m ordering online when I cannot see/smell it beforehand. So the lotion turned out great. Whipped, still, but wonderfully creamy and light. I did use a lower speed and a lot more than just a little aloe, but how can you not love what you make yourself? Next time I might sub the coconut oil for a liquid oil to get it to pour. Thanks again. How long am I mixing for? Hi Stephanie, You’ll want to beat it until soft peaks form. Enjoy! Can you use100% pure mango butter? I’ve actually never used mango butter myself, so I’m not sure whether it would work in this recipe. Maybe someone else who’s got experience with mango butter can comment? Raw shea comes in two colors: ivory and yellow. The color depends on the plant/pod(whatever they call it) it comes from not the quality. I have been getting mine imported straight from Ghana since about 2005. I normally get ivory for the appearance only. Raw cocoa butter or a number of other butters work great! Thanks for the insights, Amy! I agree with your preference for the ivory and I’m glad to hear I’m not sacrificing quality by choosing it! In what form does your shea butter come? Mine comes in big pieces (like irregular-shaped soap bar). Should I just crush it or melt it before I mix it with the oil? Hi Luliana – glad you stopped by! My shea butter also comes in a large piece like you described – I just use a knife to cut smaller pieces off the large “brick” as needed, then give the piece(s) I’m using a gentle heat in the microwave or double boiler until it’s soft enough to mix with the coconut oil (think “softened butter” stage). But, if you start mixing the coconut oil and shea butter together and still have a few clumps, you can just heat the entire mixture a bit more, or manually remove the clumps. Once the base ingredients are well blended, add your essential oil(s). I tried this, but the oil separated and every time I use it, I have to stir it. It is very greasy. What did I do wrong? I’m sorry to hear that, but I’m glad you commented to let me know. I have noticed that when I take my homemade sunscreen (which also contains coconut oil) out in the heat for very long, the oil separates. I wonder if your lotion did the same thing because it’s stored in a warm place? I keep mine in my bathroom (probably 75 degrees? ), and it has never separated. I also mix the lotion ingredients together with the coconut oil in the soft solid stage rather than a liquid stage. I’m not sure whether liquid coconut oil might be more prone to separation? Yes, this blend leaves more moisture on the surface than commercial lotions. It took me a while at the beginning to get the hang of only using a small amount. Eventually, it will soak in! I started checking into ingredients and found arrowroot powder used for the same cooking purposes as cornstarch. Do you think cornstarch would be a workable substitute in the lotion? I haven’t used it myself, but it should work since the consistency is very similar to arrowroot. Let me know how it turns out if you try it, Rachel! What would the shelf life be on this recipe? Thanks for the comment, Chelsi. I’d say at least three months simply because I still have the remainder of a batch I made 3 months ago in my bathroom! As long as the room temperature isn’t too hot, I’d expect it to last much longer. Heat may lead to separation of ingredients – in that case, you should be able to re-blend them and store in a cooler environment. awesome! I ask because i doubt I would run through 20oz very quickly… glad to know it will last a while. I will be making this soon and plan to use the arrowroot powder like you suggested 🙂 I LOVe using Young Living Essential Oils and am excited to get some of my favorite oils in a lotion! Yes, this is a large batch and you’ll use less of it than other lotions, so you could definitely make a half batch, give some away, or store in a cool area (my bathroom is probably between 73-75 degrees and it keeps well there). How long would it take to make without a blender? Hi Heather. Thanks for your question. I’ve never tried whipping this recipe by hand so I can’t say for sure. I know that it takes me about three times as long time to whip cream by hand as it does with my stand mixer, so I’m just going to guess that the same rule of thumb would be true here. That would mean maybe 10 minutes? Hey! I really want to try this recipe out but I don’t have a mixer. Would my magic bullet work you think?! I’ve not ever used a magic bullet, but I guess you could test a small amount and see. I’d love to hear whether that works if you try it! Mine seems very runny. I bought everything that was recommended exactly. Even beat in the mixer for 5 min with no change. What gives? I’m so sorry to hear that! Is it possible you melted the coconut oil and/or shea butter rather than just softening it? That would definitely make the final product much thinner. The good news is that you should be able to refrigerate the entire mixture right in the bowl until it’s a soft solid form, then whip it again. Let me know how it turns out! Thanks for the comment. My arrowroot blended right in, so I’m not sure what the best way to remove the “grit” would be once it has already been whipped? 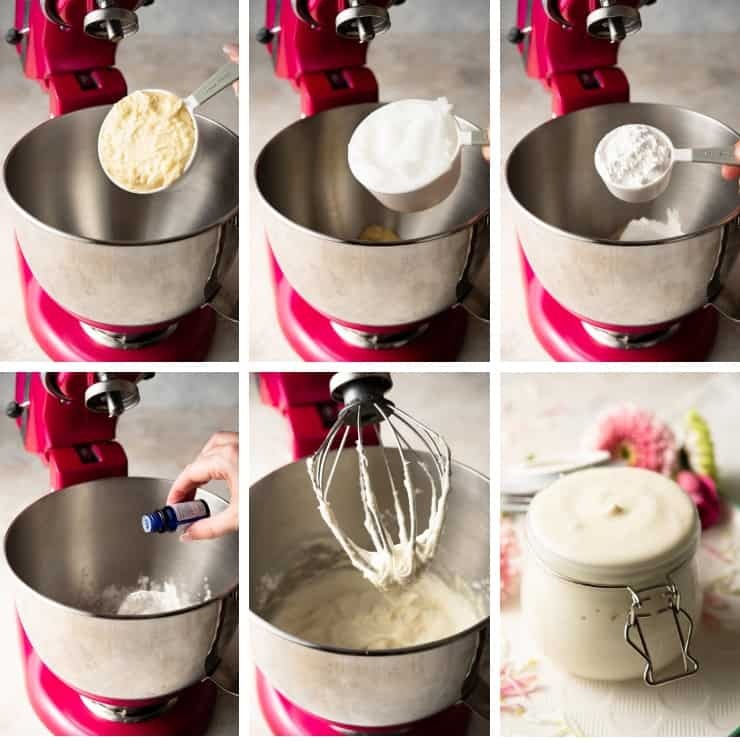 If it’s really bothersome to you, you could melt the entire mixture down, then stir it thoroughly until the consistency is smooth, then refrigerate until it’s back at the soft solid stage (should take a few hours in the fridge), then re-whip it. I should have read more before I sent my note. I had the same issue as above. I think I will let it be as it melts in once applied. Thanks for the follow up – enjoy, Laurie! I make my own body butter, lip balm, foot cream…all of that but was looking for something to put into a “pump” bottle for work as a hand lotion. Would this consistency be good for that? I’ve actually never used this in a pump form, but I don’t think it’s quite thin enough as is. However, if you subbed part or all of the shea butter for a liquid oil like vitamin E oil or jojoba, it might be great for pump bottle! I’d love to hear how it works out if you try it! Can you explain more about why you might want the arrowroot powder? I’m just embarking on this journey. While I’m a total newbie to homemade lotions and bath products, I use coconut oil religiously and love essential oils for like everything. Anyway, I’m really happy to find a recipe with products I love to use already, but I have no experience with this at all and don’t understood why might want the arrowroot powder. The only time I’ve read about arrow root powder was in homemade baby powder. Thanks for this recipe, with the links too, it seems so affordable and my skin will be so happy. I’ve stopped using lotion and lip balms altogether because my skin hates them. There is something in them my skin doesn’t like, I have ok success with bath soap and shampoo, but I just can’t seem to find a lotion that works for me at all. I have reason to believe it’s glycerin, petroleum and alcohol because the shampoo and soap I find works for me has none of these ingredients, or it has vegetable derived glycerin or the alcohol is like the last ingredient. Sorry, I’m rambling, I’m really excited for this recipe! Oh one more thing, I love the smell of shea and coconut oil, do you think I could leave the essential oil out, in the event I’m just making it and I’m out of EO’s, and it wouldn’t be offensive? I don’t find strong shea offensive, so I think I’m okay. Thanks for reading and for your question, Valerie – and congrats on starting a journey to more natural skin care! I actually went back and added the arrowroot to the already published original recipe in an attempt to thicken it slightly. The original version would melt to a near-liquid state once you spread it on your skin. 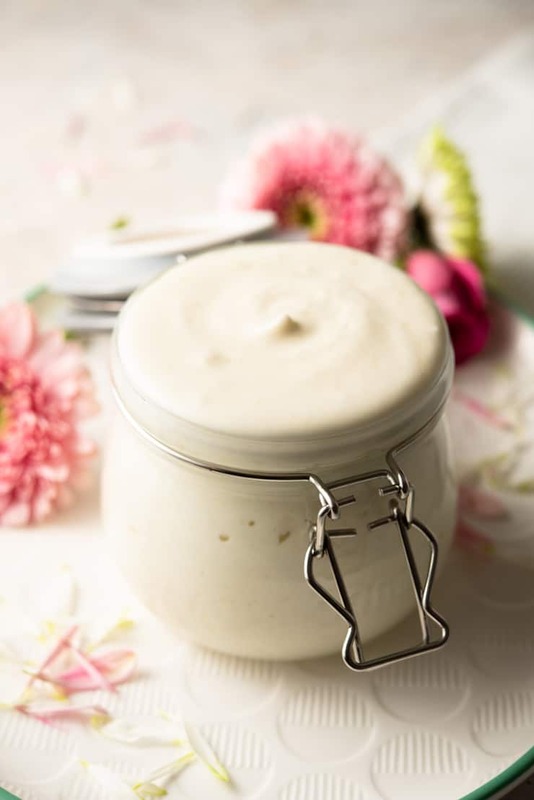 I created this recipe when I was also fairly new to DIY skin care products, so I later created a thicker body butter (click here for the recipe!) that I now use as my everyday lotion. Both recipes are good, but I like the thicker body butter even better, especially during the winter months. Wondering if it’s okay to add both the beeswax and the arrowroot powder? I know you said to use one or the other – why? Thanks for your time! Great question, Juliet. The beeswax and the arrowroot serve a similar purpose (to thicken the lotion), but in my more recent experience with my Double Chocolate Body Butter, I’ve seen the beeswax alone does a much better job than the arrowroot. Hope that clears it up and thanks for reading! Thanks for your question, Laura! Yes, both of those ingredients will add a thickening effect – the arrowroot only slightly and the beeswax more so. I’ve grown to prefer the beeswax, and use it in my Double Chocolate Body Butter as well (see link at the end of this post). The good news is, you can melt some beeswax alone, then whip it into the lotion mixture you’ve already made and let it re-set. This is a little late to the comment about the body butter feeling greasy. From what I have read the purpose of arrowroot powder in body butters (as well as thickening) is to make them feel less greasy. From my own experience this seems to be true. I use mango butter rather than shea butter and it works fine. Thanks for your input, Jackie – glad to hear the mango butter is a good option! Can you comment on the smell of the mango butter? Hi. Don’t know if this page is still active but I’ll give it a shot. Made the Best Homemade Lotion lastnight. It looks and smells fabulous however at the touch it feels a tiny bit gritty but after applying melts away. Not sure if it’s the coconut oil I used or….??? Any thoughts. Sounds like from your comment below that you figured it out, but let me know if you have other questions. Thanks for reading and for your question, Laurie! I’ve seen a bunch of recipes like this that call for whipping the ingredients once they set. I’m a college student so I don’t have a hand or stand mixer, but for anyone else in my situation a blender will also work. The only tough part is getting the body butter out of the blender. That’s great to know – thanks, Jenn! Is this thin enough to put into a pump bottle? It doesn’t seem quite thin enough for a pump bottle to me, but maybe if you substituted part of the shea butter for a liquid oil like vitamin E, almond, or jojoba? Thanks for your question, Samantha! Thanks for your question, I’d suggest adding 1-2 tsp of melted beeswax pastilles to the bowl before mixing it. I hope that helps! When I added the melted 1-2 tsp melted beeswax pastilles to the mixture, the lotion started to form little chunks. Anyone else have this problem? We just tried lavendar lemon and it cuts the smelly shea butter and beeswax smells. We added beeswax pellets and arrowroot powder as we were a little short on the powder…it still seems oily though? Feels nice otherwise though and makes great Christmas gifts from my daughter…thanks!! I’m so glad you liked the lotion. You’re right – the final texture is a little more oily than a hand cream or body butter. The benefit of that is that a little goes a long way! 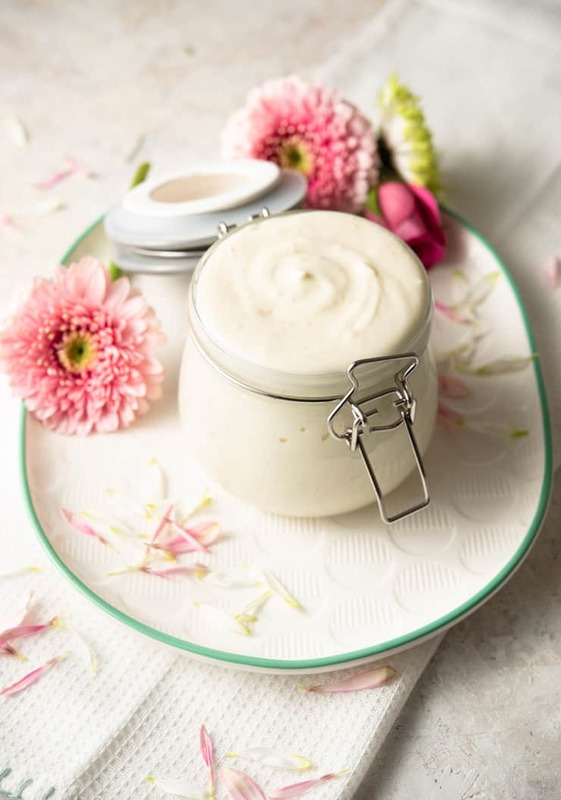 🙂 If you’re interested in a thicker product, definitely check out my body butter recipes – I’ve actually replaced this lotion with body butters in my daily routine (the White Chocolate Body Butter is my favorite)! Would it be better to add arrowroot or beeswax or both ? Hi Jane, I prefer the beeswax since it’s gives a thicker consistency more like cream or body butter. Hi there. I have a problem when making this and the lotion ends up solidifying and then I have a glob. How do I prevent this? Thanks for your question. I wonder if it has to do with the storage temperature, especially if you’re in a colder climate? Mid seventies should be fine but ingredients are more likely to solidify when you drop down too far below that. If that’s the culprit, you should be able to either scoop a small amount and rub in your hands to heat it up before applying, or warm the entire mixture slightly, re-mix if needed, then store at a warmer temperature. Let me know if you have additional questions! I was wondering what the shelf life is of your homemade lotion with shea butter and coconut oil? Hi Rhonda, I would say at least several months – I’ve actually stored a large batch for longer than that and not seen any change or separation of ingredients, etc. Can i use this lotion as a face cream? Since the ingredients are all completely natural, it’s certainly safe to use on your face. You could do a trial of a small amount once daily for a few days first just to be sure your skin tolerates it well. So I tried all of this using the beeswax instead of arrowroot powder as a thickener, even toyed around with some measurements in hopes of thickening it and added some extra beeswax, but the mixture is SUPER runny no matter what I do 🙁 I don’t know what to do. I also don’t know how to get the melted beeswax to mix in smoothly, it keeps solidifying before mixing in, so it leaves the lotion all chunky 🙁 any help would be amazing, please!! I also, no matter how much I whipped it, could NOT get it to reach soft or stiff peaks (I tried the shaving cream first and couldn’t get stiff peaks for that, then couldn’t get soft peaks for this). Sorry I’m just now seeing your comment. You may want to try letting the ingredients set first, then whipping as Jenn suggested above. This looks deliciously creamy! I have been looking to make my own lotion for a friend who is allergic to glycerin (do you realize it’s in, like…everything?!) Thanks for the recipe. This looks like a keeper. Amy ideas for converting up. Cocoa butter? I made some because they didn’t like thesmell of shae butter. I can’t stand the smell! !i don’t wasn’t to throw it out but I don’t think I can stand the smell. What should I do? Hi Suzanne, If you’ve already made it, the best way to hide the smell is by adding more essential oils. I’ve noticed that some shea butters have a much stronger odor than others. For future reference, the white ones seem to have a lighter smell, or you could sub cocoa butter as you suggested. I use cocoa butter in my DIY body butters and love the smell and feel! Is there something I can add more of or use less of to make it have a more stable consistency in hot or cold temperatures? I’m making this for my husband who leaves his lotion in the truck, so I would like to make something that won’t melt in the summer or freeze in the winter. 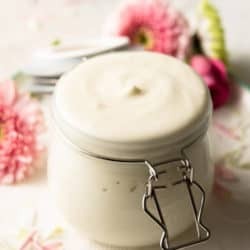 The coconut oil will definitely soften/melt in warmer temps, so there’s really not much getting around that unless you just use less of it like my firmer body butter recipes do. As far as winter temps, I find that taking a small amount of the lotion/body butter and rubbing it between my hands for a few seconds to warm it up before spreading it on my skin works perfectly. Let me know if you have other questions! If I wanted a vanilla scent, would I add vanilla extract rather than essential oil? Or, is there a vanilla scented essential oil? There are oils that are sold as vanilla essential oil, but my understanding is that there really isn’t a vanilla essential oil and these are essentially vanilla extract blended with carrier oil. So you may be better off just adding a small amount of pure vanilla extract – you may want to try blending it into a small amount of the lotion first to be sure you like the scent. Hope that helps! I found this searching for a way to make a lotion with breast milk and shea butter. Do you think I could substitute some of the coconut oil for breast milk? I was thinking if it gets too runny I could just add some beeswax. I would love some feedback though because I’m a complete novice with this stuff! I’ve definitely never thought of that so I can’t say for sure! 🙂 I would expect that breast milk would start to go bad after a few days or a week and may change the texture, odor, etc. This did not peak for me. I do t know what went wrong. I’ve made whipped body butter before. This time it didn’t whip up for me. I’m so sorry to hear that, Jessica. How do you make this into a thinner lotion please for pump bottle useage? I actually haven’t tried it before, but I would suggest leaving out the arrowroot/beeswax and replacing at least half of the shea butter with a liquid oil like vitamin E oil or jojoba oil. Let me know how it turns out if you try it! If you are looking for great butters and EO’s check out New Directions. I order from them all the time!!!! I usually purchase ingredients from Amazon and have stored my lotions and body butters for many months without ever seeing signs of spoilage. Hope that helps! I use tapioca flour instead of arrow root or cornstarch. I usually add to most things with coconut oil to eliminate the greasy feeling. Thanks for adding that, Barb! Can I use a different oil like grapeseed? Hi Steph, I haven’t tried a liquid oil so I can’t say for sure. If you do, I’d definitely use the beeswax so it’s not too runny. Instead of using a mixer, can I just hand whip it? You could, but it’s a pretty thick mixture and I find the electric mixer does the job a lot better! I had to completely melt the mixture in order to get my beeswax pellets to melt consistently within the mix. It was too greasy at first so I added tapioca flour by the tablespoon until it was a desirable consistency. Great recipe overall. I had fun jaring up homemade organic lotion. I just made your receipt and it turned out perfect. I used the beeswax as syugested. I also added some Vit E. Since I plan on using this on my face as well.Thank you so much for this recipe.